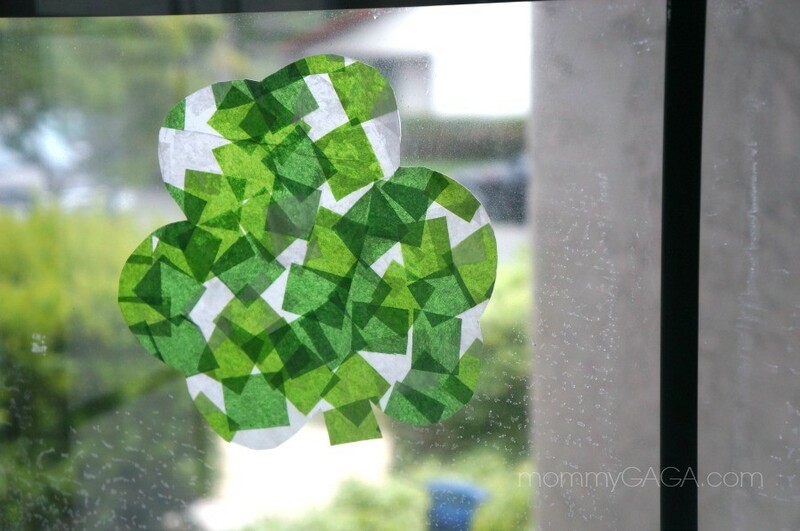 St. Patrick’s Day is coming, so we made shamrock stained glass art with tissue paper. These suncatchers look super cute in your window, this is a fun St Patrick’s Day craft for kids! 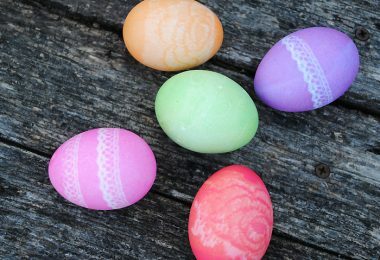 Are you looking for fun, easy St Patrick’s Day crafts to do with your kids? This preschool friendly stained glass shamrock looks great on our window, let the sun shine through this beautiful art display! I got the idea from this gorgeous St Patrick’s day glass shamrock suncatcher, but ours is a glass free simple craft with a short shopping list. Make this easy shamrock craft with a few easy steps, you should already have most of this stuff at home! Take a piece of wax paper that’s twice the length of your desired shamrocks size, fold in half and crease. 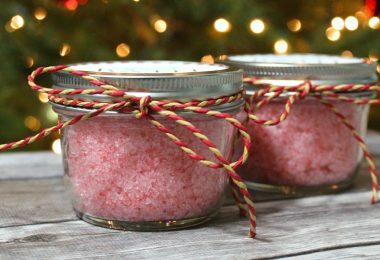 Fold the paper back open and use the bottom portion of the wax paper as your canvas. Spread glue over the surface of your wax paper canvas and cover completely with random tissue squares. 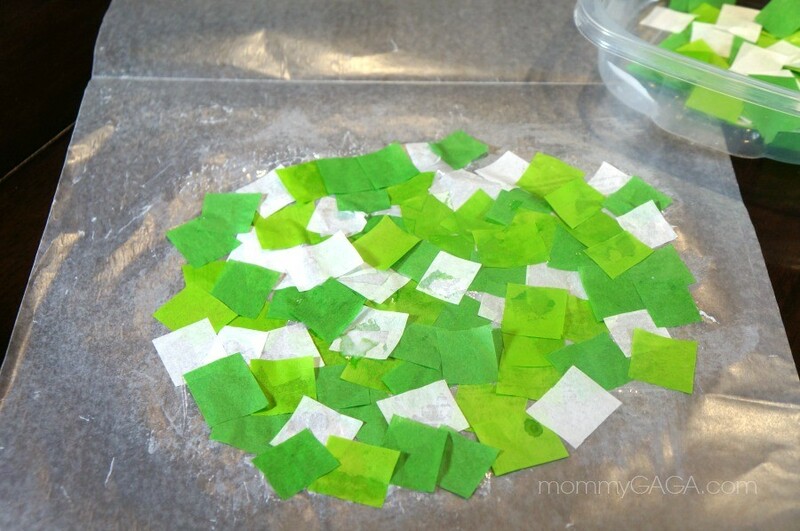 Spread another thin layer of glue over the green tissue paper squares and fold the top half of the wax paper over. Press down firmly to seal the top to the bottom, making sure it is flat and lump free. Allow about an hour to dry. 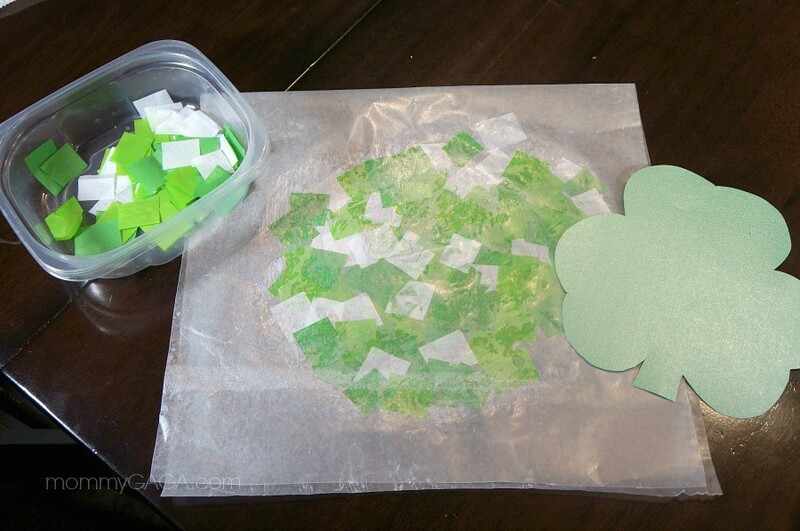 Grab your shamrock cut out and trace a light outline on the top of the wax paper. 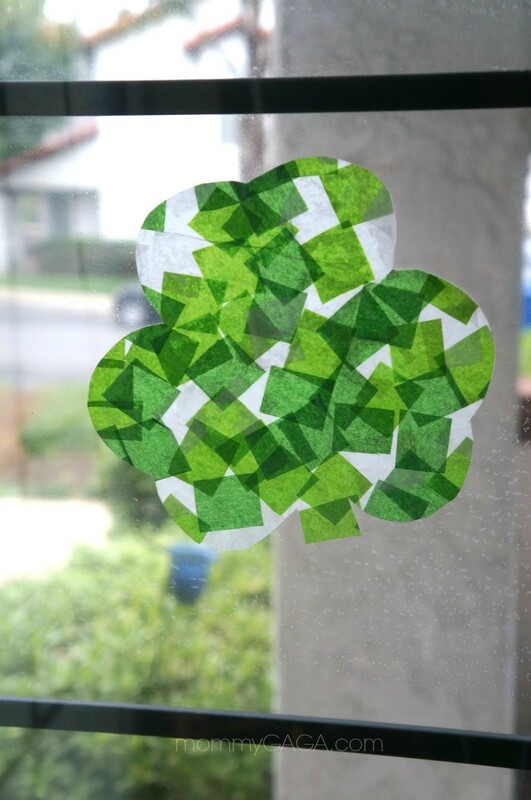 Cut out your shamrock shape and stick it into a window with a little piece of tape to admire! 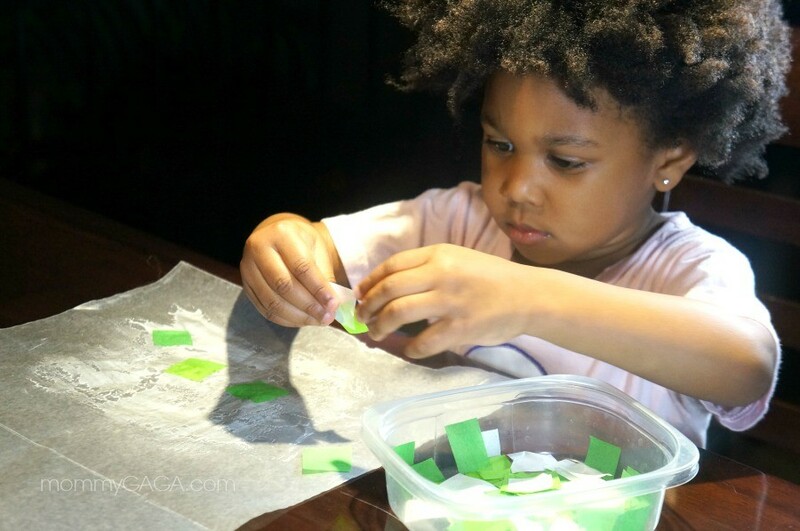 My daughter had fun with this shamrock stained glass art project, she has been working on her fine motor skills, so picking up little tissue squares and placing each one onto the glue area was a great way to get more practice. The tissue paper is super thin, and the glue dries clear, so the green and white colors look beautiful when the sun shines through. Have fun making this St Patrick’s Day craft! 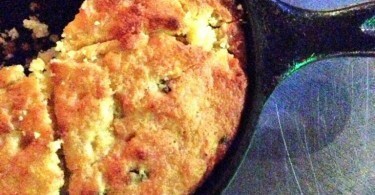 Contemporary Food, Southern Flair: Here’s What’s Cooking At The House of Blues!